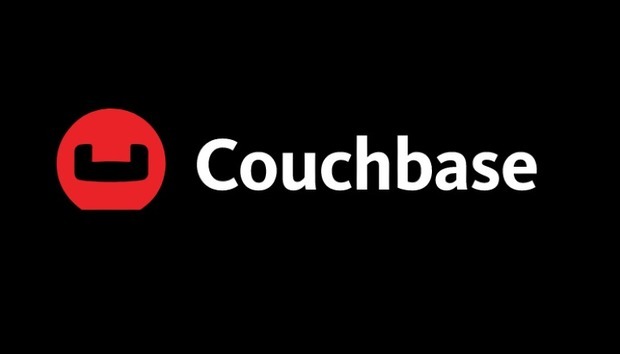 Couchbase claims that the latest version of its commercial NoSQL database is "the world's first engagement platform", designed to serve the on-demand mindset of contemporary consumers by powering a rich customer experience on mobile and web applications. Companies are placing an increasing emphasis on the end-user experience of their mobile and web applications, to provide the more personalised service expected by their customers. Couchbase connects this to a shift from storing traditional transactions to capturing interactions, such as liking a tweet, entering a search term, or speaking to a chatbot. These richer customer experiences place new demands on a platform's underlying database. They need to store vast quantities of constantly changing customer information in a variety of formats, including a growing proportion of unstructured data, and they need to personalise suggestions in real-time. "The technology of the past is not sufficient to create the applications and experiences that are required for the future, and at the same time, there's been a pretty significant evolution in core database technology," Couchbase CEO Matt Cain told Computerworld UK. "The interactions to transaction ratio [on travel bookings powered by Amadeus software] is 1,000 to one, and growing to 10,000 to one. Couchbase is built to capture the essence of these interactions in a way that creates meaningful customer experiences for consumers and companies, whether they're health providers, ecommerce or banks." Traditional systems of record databases struggle to cope with highly interactive applications processing extensive unstructured information and images, words and videos uploaded, viewed and shared by users. The continuing rise of mobile technologies, social media platforms and IoT devices are exacerbating the issue. Couchbase's database was designed in response to these trends. The memory-oriented architecture supports high performance at scale, with an emphasis on speed, scalability and flexibility to support adaptable, responsive and always-available applications that can handle unpredictable spikes in demand. Independent market research organisation Vanson Bourne was commissioned by Couchbase to survey 450 heads of digital transformation on the role of data strategies in digital disruption. Some 84 percent of respondents reported that their projects had been cancelled, delayed, or reduced in scope because of the limitations of their legacy database. "If you look at the legacy solutions to try to put together a collection of technologies to even attempt to serve up all those interactions in a meaningful way, is just a non-starter for enterprise," says Cain, whose previous role was as president of Veritas. "First and foremost it's not optimised for that level of performance, but to try to manage all those disparate technologies is near impossible and not cost-effective. "What vendors like us have proven is that there are alternatives to legacy database systems and this transition that is NoSQL layered on top of that business transformation is the essence of Couchbase"
Cain was appointed CEO in April 2017, replacing Bob Wiederhold, who transitioned to the role of executive chairman. The two continue to collaborate closely, and Cain shares his predecessor's focus on attracting digitally-developed clients. "Bob would often use a term, 'enlightened legacy or digital native'," says Cain. "That's a categorisation which I think is still relevant. For me, the common denominator is the use of technology to get close to customers. "It's most important where people are strategically using technology to get close to their customers, that's in the sweet spot of Couchbase." Current customers range from financial services providers such as Visa to the aforementioned Amadeus, which completes 300,000 queries per second at peak times, and processed 535 million bookings in 2016 on an engagement database that stores more than 100 terabytes of data. "It's really aligned to applications that necessitate a large amount of interactions. Whether it's look-to-book ratios in travel, if it's browse-to-buy ratios in ecommerce, I think where people are building modern applications, whether it's in the web tier all the way out to mobile applications to get closer to their customers, that's really the common denominator of the engagement database." Market rival MongoDB is expected to make an Initial Public Offering (IPO) on 19 October, a move which has long been expected for Couchbase. When asked, Cain did little to dampen the speculation. "Obviously we have ideas on timeframes where that would be reasonable, we don't comment on those publicly, but we'll go public at the right time," he said. "An IPO from my perspective is a step in the process. We aspire to be a company that's around for a long time and want to be business partners to the largest companies in the world. I think it's a very natural transition for a company of our size to enter into the public markets and that's absolutely a part of our plan. "By no means is it the end goal, and the fact that there are other companies in our space that are having success and maturing as organisations I think validates the overall market opportunity and the demand of enterprises to have new technologies to support their needs."